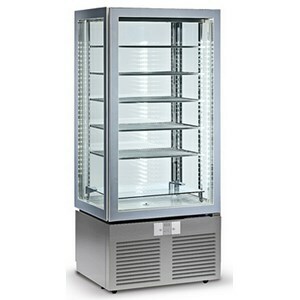 Browse through our bakery equipment and display cases. 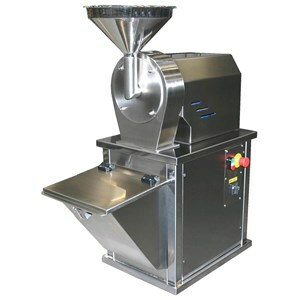 Discover our selection of planetary mixers, fryers, counters, display cases and other useful machines for all branches of the patisserie and confectionery industry. Discover our vast selection of bakery dough sheeters, available in manual and automatic models to simplify your work, in countertop and free-standing versions. 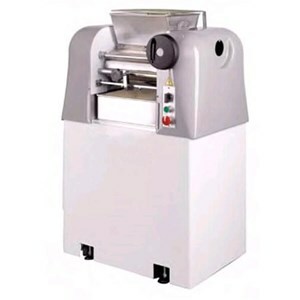 We have selected the best sheeters, which guarantee an even sheet with contstant dough width. 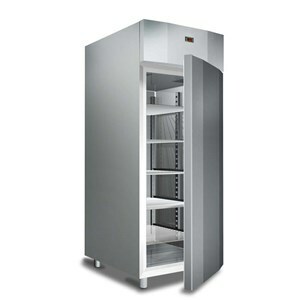 Available in fridge or freezer version, with static or ventilated cooling, our upright refrigerators are the ideal solution for your bakery, by maintaining the right temperature and humidity level you need. By combining a blast chiller to your upright fridge, you can optimize your work and increase the quality of your products. Discover our vast selection of bakery displays, which are available in a variety of models and sizes and can also be used to display ice cream. We have selected only the most functional models, with positive, combi or negative temperature, with special attention to the practicality and design of the cases in order to accentuate the value of your products. 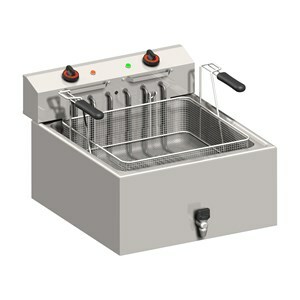 The choice of your professional fryer depends on the appopriate capacity for your needs thus favouring longer life span and at the same time saving on your gas and electric bill and the oil you use for frying. Find out which model meets your needs best, countertop or on cupboard. 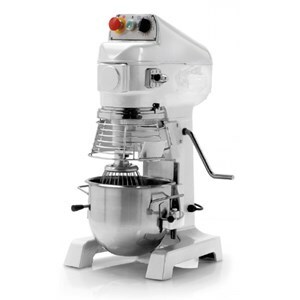 Browse through our selection of profesional mixers; planetary mixers are a must for bakeries. 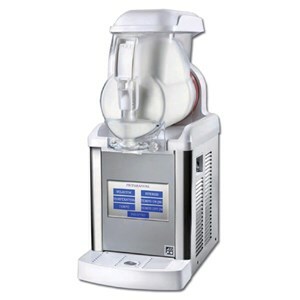 The choice of your planetary mixer depends on the right capacity and power for your needs and are fundamental to obtain perfect results and a long-lasting money-saving appliance. These mixers are perfect for making delicious praline. 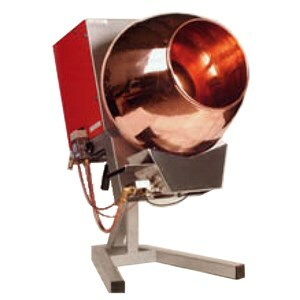 This practical machine cooks, toasts and pralines dried fruit and other scrumptuous artisan bakery products. They feature gas burners which allow you to save on energy costs and warming time. 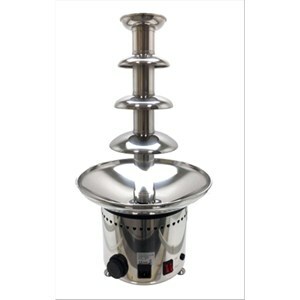 Ideal for bakeries, catering and banquets, the chocolate fountains are an easy to use yet effective machinery safe, usable with fruit, ice cream or other pastry chefs to taste. The model selection must be done especially considering the number of people who will have to serve. 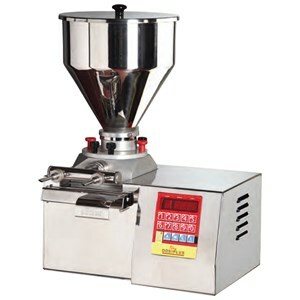 The dosing/filling machines are very useful both in pastry, like many other food sectors which require filling products with sweet or savory creamy bases. 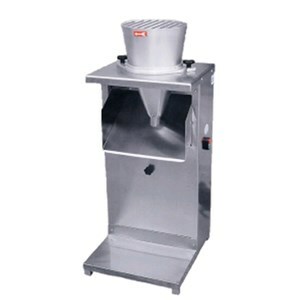 Fill pastries, cannoli, pastries and other products accurately and quickly becomes a simple task if done with a manual or electric blender. Check out AllForFood's ricotta cheese and cream homogenizer which will help you blend your delicious ricotta cheese with sugar, custard and chocolate cream, etc. and get fantastic results in taste and appearance. 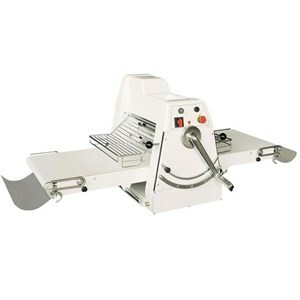 This machine is made from stainless steel to guarantee the hygiene and a fast and practical belt transmission to offer our pastry chef the best of help. 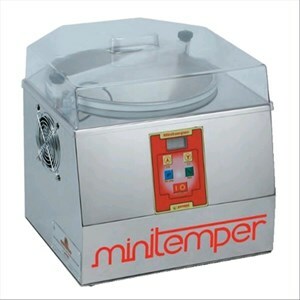 Ideal for pastry shops, ice cream shops, hotels and restaurants our tempering machines for chocolate offer an important help to melt and temper all kinds of chocolate. With interchangeable trays, ensure a perfect Union of chocolate crystals to obtain perfect results. The traditional process of sourdough is quite laborious, that's why AllForFood offers of fermenters that automatically and reliably provide equally to achieve excellent results. Equipped with programs to control time and temperature, the fermenters allow you to generate and store yeast in liquid form. #! # mobile controls for time and temperature, our fermenters allow you to generate and store in an optimal manner the yeast liquid. Check out our wide range of refrigerated tables for pastry. Equipped with stainless steel structure, refrigerated bakery display stands are available in different models, with drawers, doors and doorways ingredients. 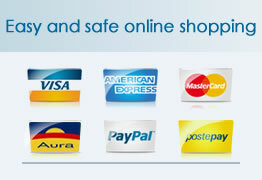 You can choose cooling capacity and a number of Add-ons like locks and granite counter top. #! 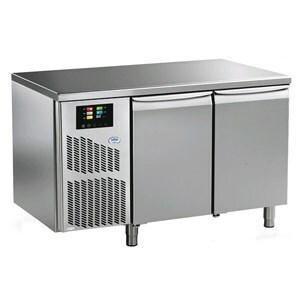 mobile # check out our wide range of refrigerated tables for pastry, with stainless steel structure, chests of drawers, doors and doorways ingredients.